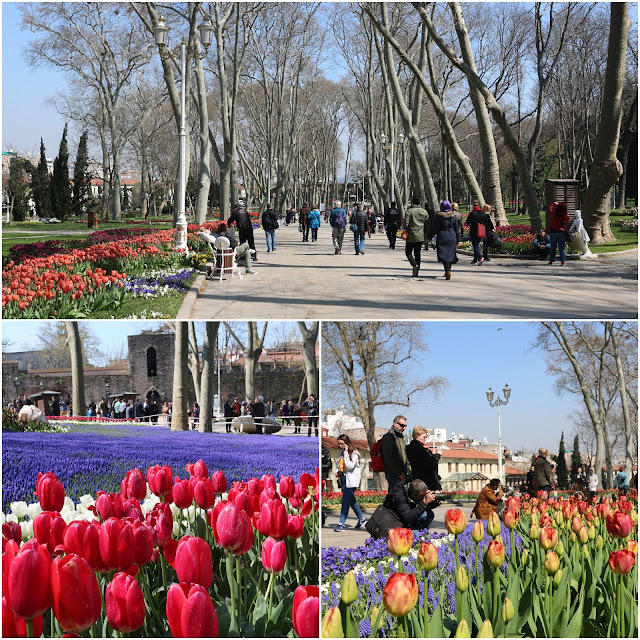 As we walked out from the exit of Basilica Cistern and followed the tram railway to the cafe wall nearby the park, we were amazed by the beautiful and well-maintained public park which is known as Gulhane Park. Gulhane Park is the oldest historical park and one of the most expensive public parks in Istanbul, Turkey. 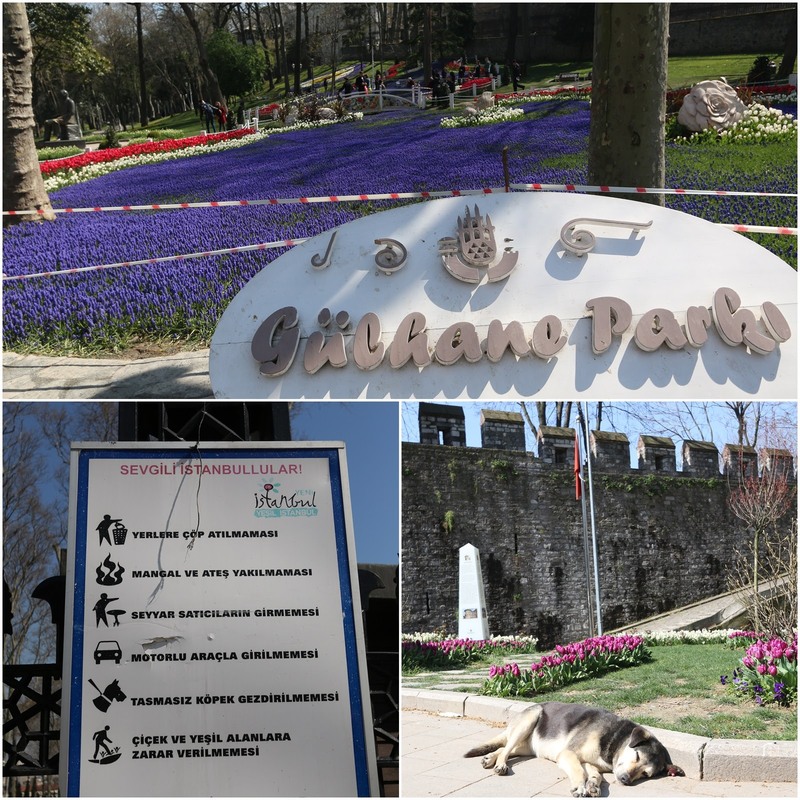 Gulhane Park (House of Flowers) in Turkish is a historical urban park in Eminonu district of Istanbul. It is located at the back of Topkapi Palace and near to Archaeological Museum. Gulhane Park is well-kept with numerous varieties of flowers and well-maintained walkway for joggers, bikers and prams. We really enjoyed sitting on the bench and admiring the landscape of flowers and trees besides enjoying the fresh air. We also visited Istanbul of Archaelogical Museum. The museum is located on top of the slope and behind Gulhane Park. We were lucky to spot a free tram service which was available near the entrance of the cafe wall of Gulhane Park. 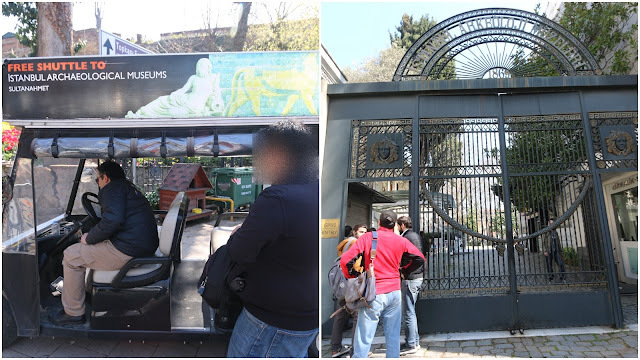 We took the tram ride which led us to the entrance of Archaelogical Museum. 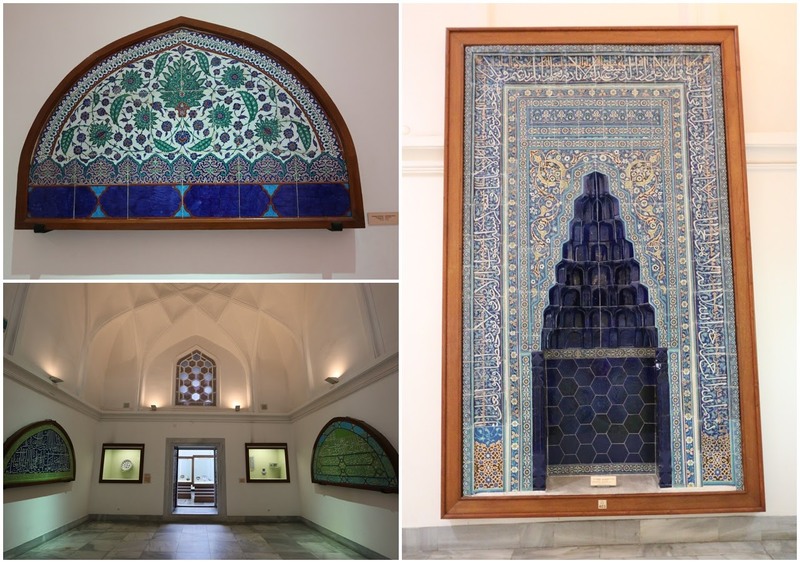 Istanbul of Archaelogical Museum is one of 10 most important world-class museums which houses various artifacts from different civilization of different period of time. 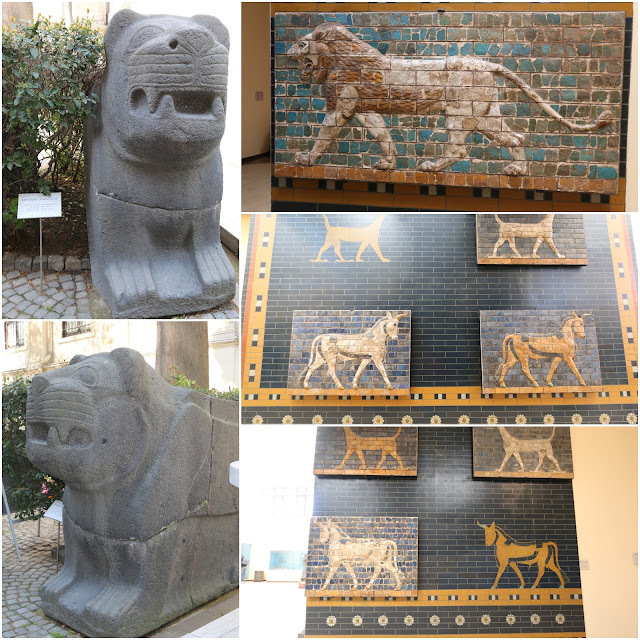 The most popular visited artifacts are during Mesopotamian and Egyptian civilization. Archaelogical Museum opens every day from 9am to 6pm. The entrance ticket is 20TL per person. For more information, please visit Istanbul Archaelogical Museum webpage.